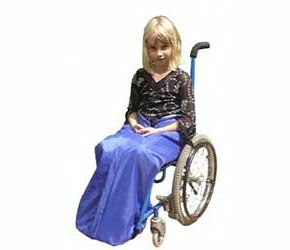 Wheelchair Clothing Childs Fleece Lined Kozee Toze. This mobility scooter clothing cover offers to keep your child warm and dry, the rainproof outer with a polar fleece,guarantee their comfort. Size "B" up to 4'9"
Very warm and good quality, delivery within 2 days, 5 stars.